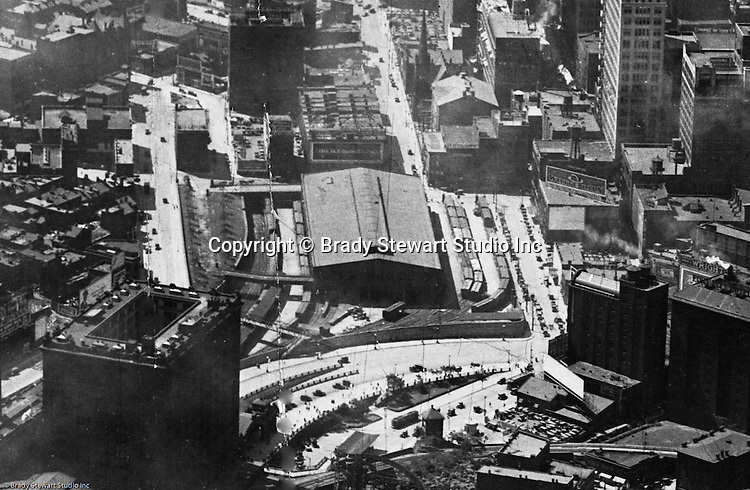 Pittsburgh PA: Aerial view of Pittsburgh looking southwest over the Pennsylvania Railroad Station toward Grant Street - 1923. The railroad terminal in the center of picture was leveled to enable the construction of the US Post Office Building and Courthouse. They choose this area due to the rail service - the building was built over top of the railroad tracks. The post office utilized the rail service for the delivery of mail.